Climate change has resulted in particularly strongly rising temperatures in the High Arctic. How is this affecting ecosystems in this area? 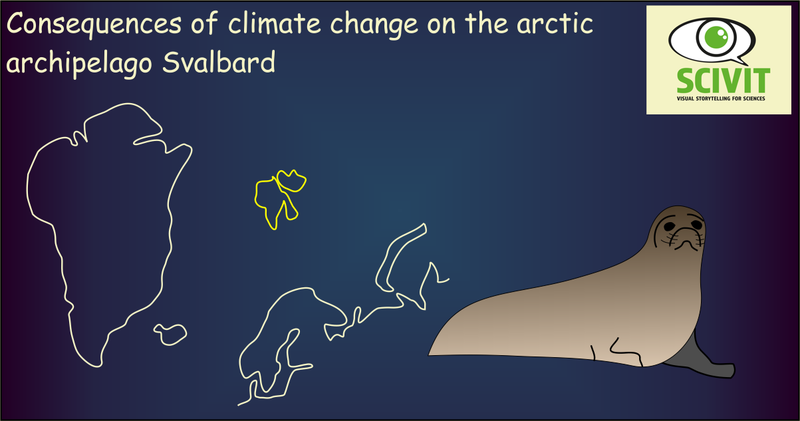 To find answers, Descamps et al., have summarized data from 33 publications covering the effects of climate change on the norwegian island Svalbard. These publications document the rise in temperate boreal species to the expense of arctic endemic species. The main driver, in this regard, is the decline in sea ice cover, which is essential for animals like the ringed seal or the polar bear as hunting ground, hiding place or route of migration. An increase of „rain-on-snow-events“ in increasingly warm winters is also an important driver, damaging to species like reindeer, ptarmigans or arctic foxes. Temperatures are predicted to rise further in the decades to come and the authors call for increased efforts in monitoring to guide conservation measures.